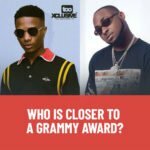 Is Davido Bigger Than Wizkid On The International Stage Now? Mr Dami fall is not bigger than all wizkids song.. ojuelegba was named by fader magazine as number12 greatest songs of all time.. Wiz was awarded 4 writing drakes one dance which is arguably drakes most successful song.. because it broke many records and landed his name on the guiness book of world record. 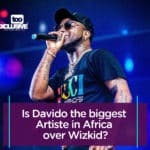 And 4 d records Wiz have done more international collaborations than Obo..he has worked with heavy weights in the industry and shutdown more notable world music centers the records are all there.. I think they are both great but in terms of international recognition Wiz got it.. and funny enough He doesn’t mention many of these fits they are brought out by others.. Compare him to Fela not Davido, they’re levels to this ? Oga bad man if you rate success by views then the likes of Selena Gomez would be greater than Beyonce.. yemi alades Johnny held the highest YouTube views for a long time before displaced by fall.. but would you say during those periods she was more successful than Wiz and davido..you see,, that’s a lame argument.. I respect your words Malik.. ??? Davido is the best and more for me Internationally. When I was in Dubai this February, those guys in Gold Souk were dancing to "Fall" by Davido. I love Davido anytime any day and most of his songs are relatable. 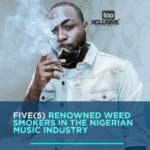 Davido is more relevant and an artist…. His music is always on point. Davido is still more relevant. Seriously I think both of them are great, but we cannot have two kings in one kingdom. 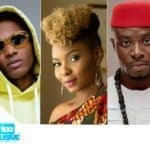 Based on international success…even d international artist do cut cap for wizkid. The likes of drake, Chris brown, and even minaj. Wizzy is dame good internationally and u can’t compare him with OBO. Tooxclusive una get problem .instead of promoting unity u are doing comparison….any way..wizkid has more recognition internationally..if u dont agree argue with ur keypad. some pple are just dumb..
and don’t forget wizzy performance in Indian, and his day in US. Albert hall concert in London..
and honestly it’s only people that like party songs that would say davido is better than wizzy…listen to the lyrics. Lino you gather fact like encyclopedia jor…. I like David, love the lion of the afro vibe tribe… Wizzy…. Tooxclusive una Don hear abi? You guys that keep saying wizkid sold out o2 first…think b4 u talk who were the supporting act for wizzy….tiwa, tekno, Mr eazi, Maleek berry, so u guys should stop saying wizkid sold out o2 he didn’t but davido did. Am not a fan of them but the truth is, its Davido. 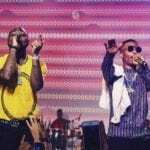 Wizkid anytime, anyday, davido enter 1 syd with ur big head. Wizkid anyday and anytime. Davido is also making a name for himself internationally. But for now, Wizkid is ?. H u n c h o.
davido fall and if is better than whole African songs.. davido is the G.O.D and G.O.A.T..
speak all ur English nothing go change Wizzy being d head and leader of Nigeria music to the other side… #starboy to the world. where wizkid song reach,davido song neva dream of am. wizkid had a lot achievement that any Africa artist has never done before despite featuring drake check out his relationship with many of the American top stars the king of RnB featured wizkid no one never talks about that I trust my man him never got time for beef wizzy baba nla!!! I GT ANGRY WHENEVER I VISIT THIS SITE DUE TO THE DUMB QUESTIONS YOU ASK. I KNOW OBO IS DASHING YOU MONEY BUT IT SHOULDN’T GIVE YOU OPPORTUNITY TO INSULT THE KING OF AFRICAN MUSIC WIZKING TO DAVIDO. BECAUSE KAIKAI(DAVIDO) MAKES YOU TIPSY DOES NOT MEAN YOU WILL COMPARE HIM TO HENNESSY (WIZKID). WIZKID HAS MORE INTERNATIONAL AND LOCAL RECOGNITION THAN DAVIDO. WHATEVER DAVIDO IA DOING NOW IS WIZKID’S PAST. I KNOW YOU IDIOTS WILL MAKE NOISE IF DAVIDO MANAGE TO WIN MOBO INTERNATIONAL LIKE WIZKID DID LAST YEAR(ANYWAY DAVIDO CAN’T WIN IT) BECAUSE HE HAVEN’T DONE ANY FLOBAL SONG RECENTLY. dremo, mayorkun, perruzi, Zlatan, zoro, victor ad, popcaan all performed at David’s 02 arena show yet some people are still saying single-handedly una even get sense at all. God Go Bless All Of Una Wey Explain With Facts And Details About Wizkid. i can’t explain eh e yah yah! King wizzy otunba starboy… Numba wan!!! Plz let’s stop this comparison OK? It’s visible to the blind and audible to the deaf.. Wizkid is king? starboy WizKid of course argue with world WizKid day. Even our ancestors know that it’s WizKid. Don’t argue with me bcuz am out to tell you not to argue wit you. If you want to argue, die so that you can meet ur ancestors and knw more. Wizzy wizzo, even a blind thinker cant argue. 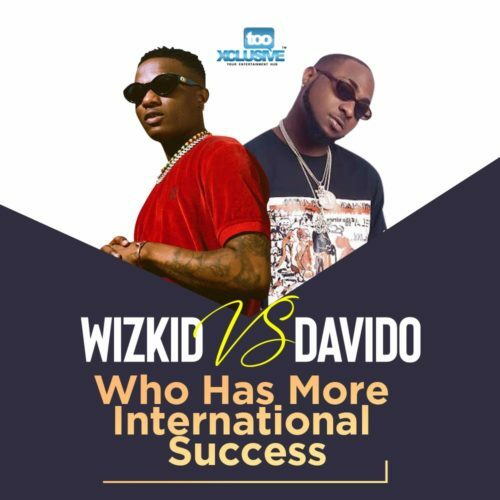 Wizkid has more international success than DavidDavido. Wizkid songs do make sense than that of Davido and wizkid has a good voice than Davido…….in collaboration wizkid is the best. 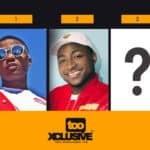 How many international collabs has davido got all his carrier? Mehnnn, last last star all the way, I respect that gee stop comparing him to up coming tnx!.. Star boi, u re incomparable not to talk of obo, obo is try but to get to that level wiz is now, he need a good coach like star boy!.. I respect u bor, from street boy to street boss, If u no, u no!.. C some wuss here no get sence..
Una too dey talk lak mugu..
Aw can yhu compare dey boss with surulere rat..
Atlanta kvnq and ordinary mugu..
02 arena—–Una dey talk sey peruzzi, dremo, popcaan etc been perform there..
No be OBO sign dem????? OBO gat more international success than Dey mugu wizkid.. So make Ina no Dey talk rubbish..
#OBO remain Dey boss and forever..
Wizzy aw many people Dey follow am to be compared to 30billiongang..
See #pogba, DJ Khalid, meek mill, and drake all behind OBO..
Fall over 100m views on YouTube..
Also in us radio stuff.. So no Dey talk rubbish..
Wizzy iz too small to be compared to #davido..
Davido no use e papa money boost e self..
E papa no sabi e read music self..